The Quintero y Hermano Londres Extra is a tasteful and bold Petit Corona, 4.8” (123mm) long, of 40 ring gauge, and comes in a 25 cigars box. This cigar starts very powerful and aggressive, which is very unique to this particular cigar. 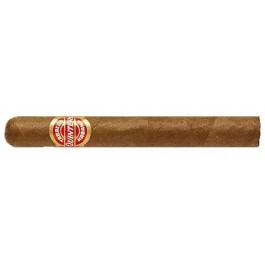 The tobacco flavor prevails; it is a true Cuban cigar. As it is a 30-minute smoke, you can enjoy it with the morning paper or during a short break. The Quintero Londres Extra is a quick smoke with lots of flavors. • The flavor profile is strong in taste. Lots of tobacco taste. • This cigar is ideal for aficionados who are looking for a stronger cigar and also for a newcomer to Cuban cigar who doesn’t want to spend too much on a cigar. The Londres Extra is the perfect size for a 30 minute smoke and/or for you when you walk the dog. A rustic wrapper with some tooth. Pungent pepper and some brash tobacco. An even burning cigar with a slightly firm draw. There are some light wood and walnut notes. Walnuts appear that have a slight dryness and bitterness to them along with an earthly flavor. The finish has a hint of pepper spice and a faint tobacco sweetness. In summary, a small but bold cigar at a great price point.